At the Black Pig's Dyke is a story of murder, mystery, fairy tale and tragic love. The play is set on the border of Nothern and Southern Ireland where family feuds ar epassed down through generations. 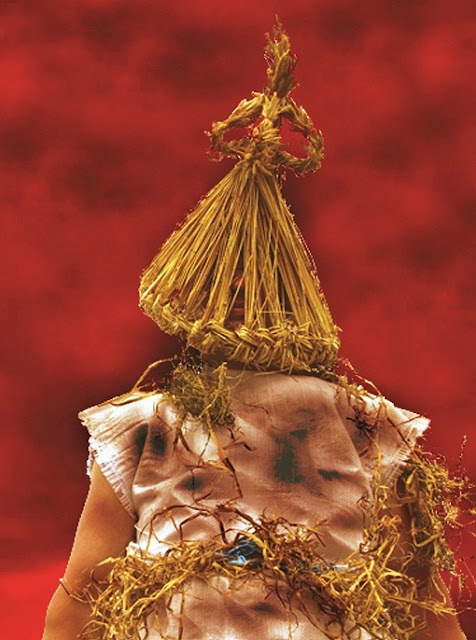 The story is told using the pagan ritual of the mummers' play as a metaphor for Ireland at a time where people laughed at a wake and cried when a child was born. It uses a mix of music, dance, song and rhyming to move between past and present generations, telling of the struggles and hopes of a family torn apart by sectarian violence and tribal hatred. The play is a daring mix of the poetic, the gothic, the comic and the political. The Director, Geoff O'Keeffe is a Cavan native and his professional credits include critically acclaimed productions of A Christmas Carol, Sharon's Grave and most recently Macbeth. This play features a talented ensemble cast made up of local actors from all over County Cavan. 'At the Black Pig's Dyke' promises to be an exciting, visually arresting, theatrical highlight of the Life of Reilly Festival.